 As a game meat, wild boar meat is leaner and tends to be a darker red than ordinary pork. 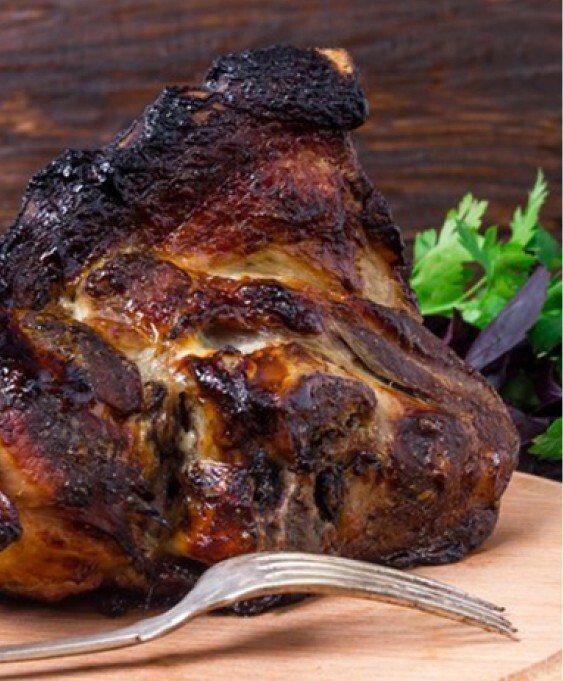 Wild boar meat has an intense, sweet and nutty flavor, due in part to its wild diet. 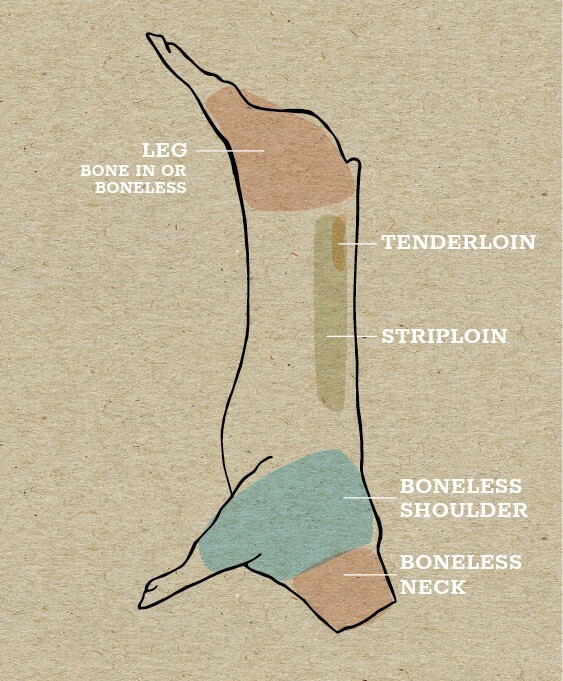 Suitable for roasting whole, the leg can also be broken down to the primal cuts that can be cut across the grain into steaks and cooked the same as the loin or diced and used in slow cooked wet dishes. Wild Boar is low in fat and is best served medium. Best cooked low and slow. Bring the meat to room temperature before cooking it. Don’t defrost in a microwave. When grilling, barbecuing or pan-frying steaks, first brush each side of the meat with a little oil, before searing for 3-5 minutes per side. When roasting sear all sides of the meat to seal in the juices. Wild boar is best roasted low and slow. 1kg = Just over 2 hours cooking time. Put the meat in at a high heat, around 220°C for 40 minutes and then reduce the heat right down to 160°C for an hour – take the roast out of the oven and check it – if the meat is falling apart then it’s done. If not, reduce the heat to 150°C and cook for another half an hour or so. Wild Boar stir fry only takes a couple of minutes cooking on a high heat – just remember to keep the meat moving in the pan or wok to avoid over-cooking. After cooking, let your boar rest, covered, for 5-10 minutes to allow the juices to evenly disperse.